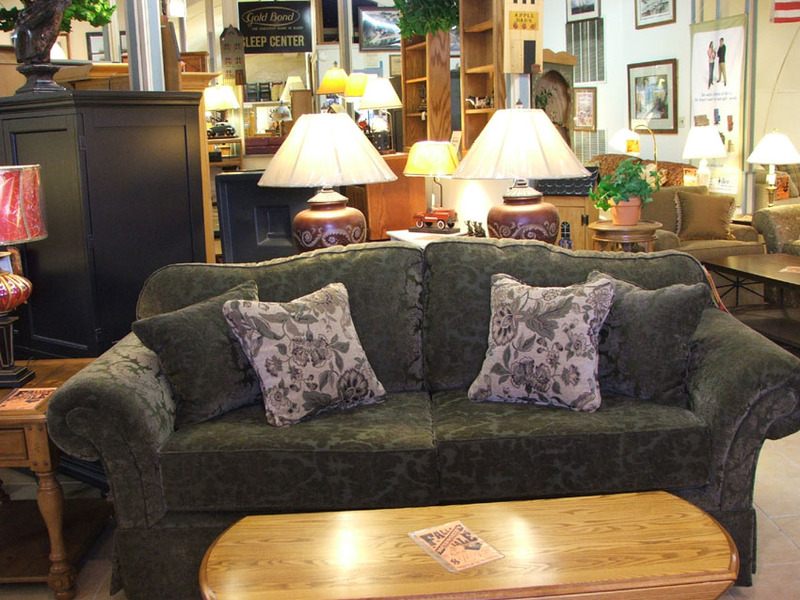 Welcome To Southworths Furniture ! Quality, Name-Brand Furniture, Exceptional, Personal, Customer Care ! Tired of all the TV "hype" from our competitors? Come see us and see what REAL brand furniture and TRUE customer service is all about. And you'll get it all at HONEST, COMPETITIVE, REAL VALUE prices ! Take a short ride to our store and see for yourself why Southworth's has been the choice of thousands of satisfied customers since 1948. 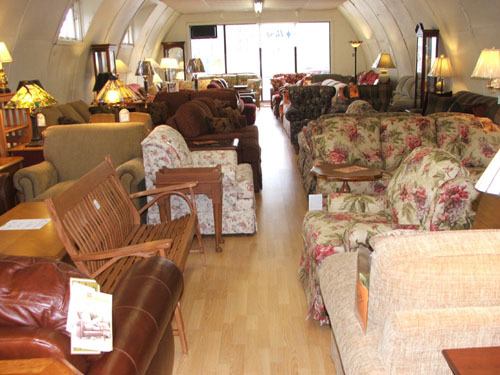 See our selection of Recliners, Dining Room Sets, Living Room & Den Furniture, Regular and Roll-Top Office Desks, as well as TV bases and entertainment centers for your new plasma, LED, 3D and LCD wide screen HDTV's ! Need BEDDING ?? Come see our great Gold Bond products !! NEED A GREAT GIFT FOR ANY SPECIAL EVENT ? GIVE A SOUTHWORTHS GIFT CERTIFICATE ! Southworth's front entrance. Your gateway to quality furniture at affordable prices. We offer beautiful, quality dining sets in a variety of woods, colors. 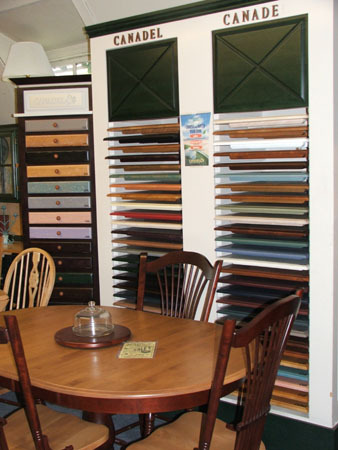 See our selection samples in photo to the right. 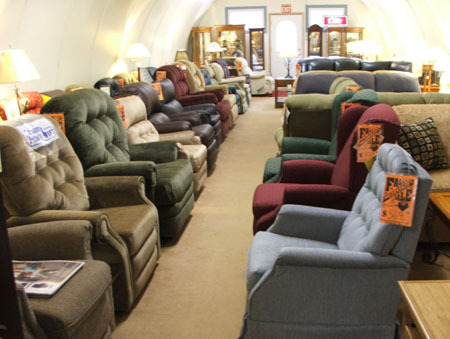 See our huge selection of recliners, with just a small sample shown above ! Prices to fit any budget. Best brands ! 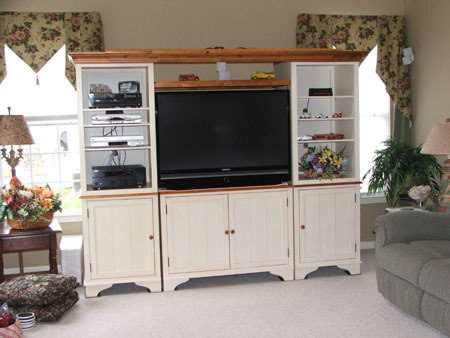 We have a great selection of entertainment centers to hold your new, big screen TV's. Simple bases to complete surround units as above ! 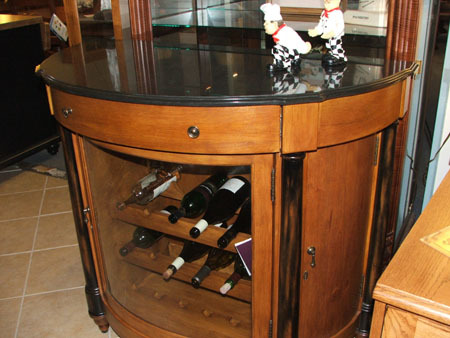 See our unique wine storage units. Several in stock and hundreds available via our catalogs. Stop in !! DIRECTIONS TO SOUTHWORTH'S: We are located between Torrington and Winsted on the old Rt 8, now known as Rt 800 or the Winsted Road. From Rt 8 Northbound, take EXIT 46. Take a left at the end of the ramp, go to Traffic Light (Marino's Rest on left) Turn left. Go appx 1 mile, Southworth's will be on your right. From Rt 8 Southbound, Take exit 46 and turn RIGHT at end of ramp.Go to Traffic Light (Marino's Rest on left) Turn left. Go appx 1 mile, Southworth's will be on your right. Welcome to our site! 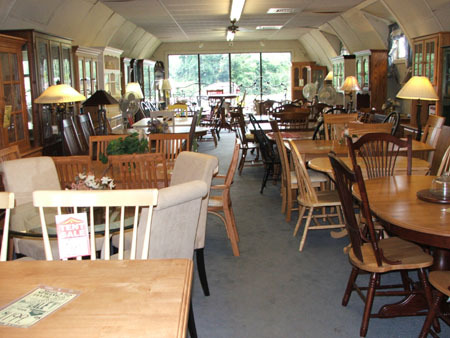 Southworth's is a Torrington family owned business, dedicated to exceptional customer care and quality, name-brand furniture. 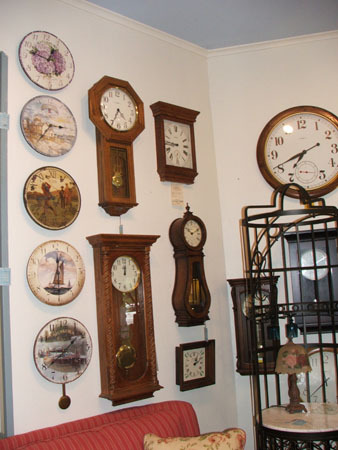 Browse around the store, at your leisure and without pressure. You'll get honest answers, terrific prices, outstanding product selection from the best brands in the business and fast, courteous delivery. And you'll get all this without the hype and hoopla that other chain stores promote. 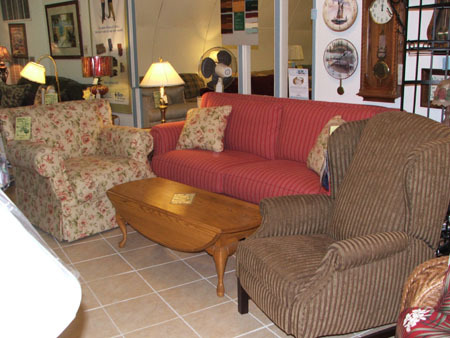 If you are ready for an exceptional furniture shopping experience, please call and/or visit us in Torrington! In the weeks and months to come, please check our web site for special sales, new products, furniture tips and more. Be sure to bookmark this site for quick, easy reference in the future. MOVING INTO A NEW HOME ?? 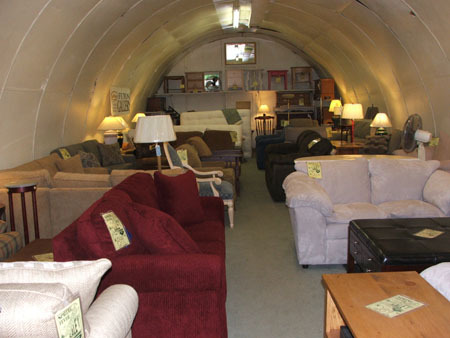 If you are interested in 1 piece or an entire house full of new furniture, we are here to help. With many new developments here in the Torrington area, (Pleasantview, Torringford Ridge Estates, Northwoods etc.,) people are moving in at a record rate. We offer very special pricing for whole-house packages as well as individual rooms, or individual pieces. When you come in, just mention your adventurous and exciting move to a new home !! 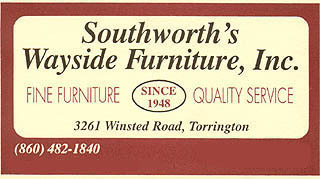 Southworth's is a Torrington Family Owned Business and has been since 1948! 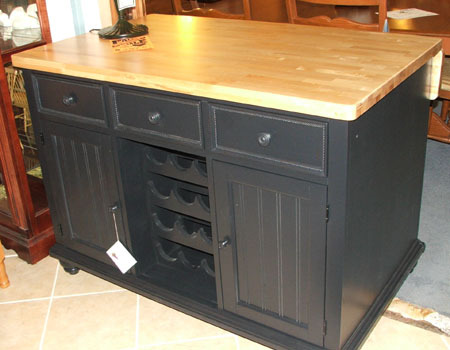 Southworths is proud to carry high quality, BRAND NAME furniture, where there exists a solid, reputable, company which stand behind their products. You can view some of their on-line catalogs by clicking on the links below. Some of Our Major Brands include: Action Lane, Flexsteel, Gold Bond, Canadel, Howard Miller, Quoizel Inc., Winners Only, and more. For many photos and product details, simply click on those brand names above which have a link. Site designed and updated by Mike's Dad, Jack!